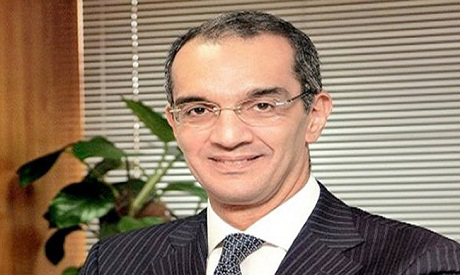 Egypt's Minister of Communication and Information Technology Amr Talaat said in statements to Masrawy website that the ministry is currently implementing a plan to double internet speeds throughout the country. The plan involves upgrading communication cabins, cleaning copper cables of oxidation, and replacing copper wires with fibre-optic cables, which allow faster DSL and fixed broadband connections. The minister noted that central to the success of the plan is maintaining intra networks and replacing routers. In 2018, Telecom Egypt set up 5,800 new multi-service access node (MSAN) cabins in the country, bringing the total number of cabins to 17,800. A source in Egypt's primary telephone company Telecom Egypt said that the company is working on a plan to install fibre to the home (FTTH) in newly constructed cities and urban communities. Some 85 percent of the work to replace copper wires with fibre-optic cables should be completed before the end of 2019. The entire internet infrastructure development plan is set to be complete by 2022, a company source told Masrawy. Egypt ranks near the bottom of the list of countries for internet connection quality and speed, according to tests carried out by Speedtest, Akamai Technologies and OpenSignal, the three top agencies measuring internet quality, with some results showing that internet speeds in Egypt are slowing down. This is in spite of increases in the number of internet subscribers and the launch of infrastructure projects to raise internet quality. The results come at a time when the Ministry of Communications and Information Technology has announced its readiness to provide 5G Internet services in the country. Speedtest reported that in November 2017, Egypt’s internet speeds had increased to reach 9.07 MBps after it measured those offered by commonly used internet service-providers such as WE, Nile Online, Vodafone Egypt, Orange, Link and Telecom Egypt. The service started seeing improvements in the third quarter of 2016, but Egypt still ranks 146 out of 150 countries for fixed broadband download speeds and 95th for mobile internet, Speedtest said. In recent years, many public and social media campaigns demanded raising internet speed and quality as well as reducing internet fees. Out of Egypt’s then-population of 104 million, an estimated 4.2 million use ADSL services while 27.4 million access the internet via their mobile phones, according to June 2016 figures by the state statistics authority CAPMAS, released in 2017. ADSL internet prices in Egypt range between EGP 110 for 5 mbps and EGP 700 for 100 mbps per month.